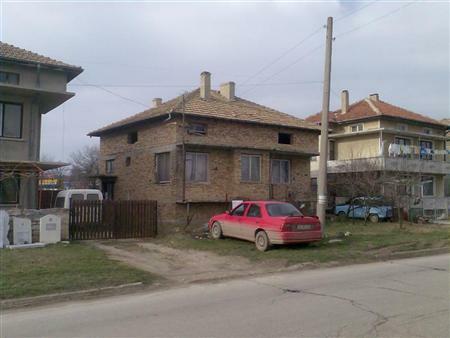 Description: Spacious 3 bedroom brick house and central location in a small town 52 km from Varna and the seaside, 30 km from the town of Dobrich. The village is well served with all basic amenities, regular bus service and a train station. The property has living area of 120 sq m and plot of 800 sq m. The house is two storeyed and comprises: on the ground floor � spacious living room with open plan kitchen, WC; on the first floor � 2 bedrooms, bathroom, terrace. All essential services such as electricity and water supply are connected. Don`t miss!